I was thinking that with all their fiber that chickpeas would be lower in calories. They are 120 calories for a half of a cup times 3 1/2 servings in a can equals 420 calories that I whizzed up with a little olive oil, lemon juice, water, and thyme. So I only took two tablespoons. Sigh. Luckily the cod is very diet friendly and I think zucchini are mostly water so it did not work out too badly. John was in charge of cooking the fish and I made the purée and sautéed the zucchini, a perfect division of labor. 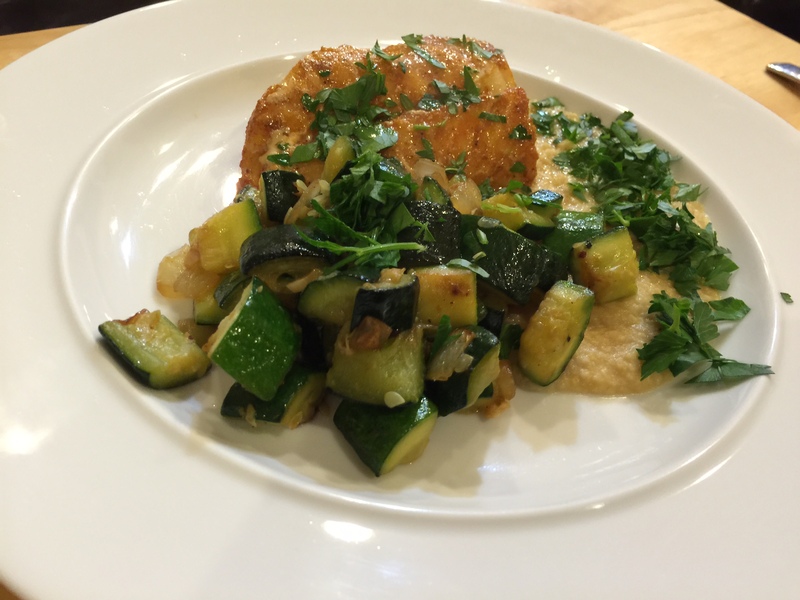 This entry was posted in Fish and tagged chickpeas, Fish, Pacific cod, zucchini. Bookmark the permalink.